So sorry to read about the death of poet Rachel Wetzsteon. She was the poetry editor at The New Republic as well as a member of the faculty of William Paterson University in Wayne, N.J. Her death has been deemed a suicide. She was 42. The Times obituary described her as a “prominent poet whose work was known for its mordant wit, formal elegance and cleareyed examination of the solitary yet defiant lives of single women.” One of her poems was included as well—“Sakura Park,” written about a small park near Riverside Church, known for its cherry trees. 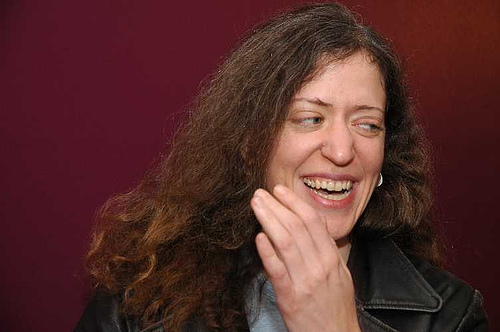 Another place to go: The New Republic has written a thoughtful memorial about Rachel and also included two of her poems. I bought this painting by Fred Liang last year after my mother died. It was part of a gorgeous show of Liang’s work at Bernie Toale’s gallery in the South End of Boston. From the minute I saw it, I felt as though I had found the perfect repository for my newly acquired funereal sensibilities. The image here is painfully inadequate; Liang is known primarily as a printmaker, so his layering of the paint is actually more reminiscent of a wood engraving, with elegaic lines reflecting the cross grain of wood and the surgical exactness that can be etched into that hard surface. There is an underpainting of reticulated white lines that is also hard to see in this image, as if the nappy velvet of the dominant black forms is still jockeying for dominance. Perhaps the white substrate is in fact another way to see death (a concept in several Asian traditions) and the black is more representational of what we know as the terrestrially material. And a small patch of mint green in the lower right quadrant (which is not delectable at all in this reproduction), subtly threads itself between the black and the white, offering another anchor of a completely different order. To be truthful, assignation of significance for any of these forms doesn’t really matter to me. This painting, hanging close at hand and in my sights every day, is an ongoing source of mystery and awe. And every time I look into it I feel I am giving death a pass, offering it some familiarity in a life that, until recently, had little congress with its irrevocability. My friend Bonnie’s service yesterday was just what she had outlined for herself over a year ago. She asked 4 of her friends, myself included, to speak on her behalf. 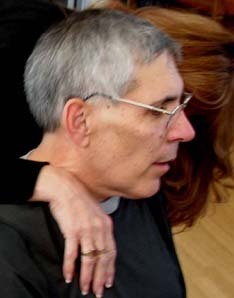 Her husband Gerald also took a moment at the end to offer up his final adieu to his wife of nearly 50 years. As seems to be my experience with these memorials in the past, a few hours spent in communal remembrance of someone you love brings its own sense of completion. I came back home exhausted, but I did feel as if some arcs in me had completed their designated paths. Bonnie’s arc, one that spanned so many years of my life, has another home now. A note for my readers who knew Bonnie, some of whom were not able to attend the service: Anyone who would like a copy of my tribute to her, please email me. 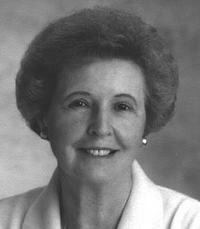 Tonight I said goodbye to my friend of 30 years, Bonnie Horne. She was a hero in the truest sense. Battling not one but several cancers over the last 10 years, she defied the odds and the expectations of her small garrison of doctors at Dana Farber over and over again. She braved multiple operations, repeated chemotherapies and the slow decline of her healthy, sturdy body. And she went about this protracted struggle with a fortitude and a will that could at times almost blind you with the white hot intensity of her desire to stay on just a little longer. And during that time many of us learned from her—about grace under pressure, the power of the mind/body connection, the warrior’s tenacity needed to navigate the overwhelmingly complex rat’s nest also known as the American medical system. Bonnie was unlike anyone else I know. She was one of those rare people who everybody likes. I have never met anyone who had a sour thing to say about her. Part of her “universal donor” appeal was because she so genuinely delighted in human beings of every stripe and size. But it was also because she had a masterful ability to be diplomatic without being disingenuous, candid yet tactful, an exceptional listener who also had an irrepressible wit. Each of my children had their own very personal relationship with her, one that did not come with that passive-aggressive, eye rolling “whatever” response that is the easiest dismissal of anyone over 30. None of that for Bonnie. She was cool. They all said so. Bonnie’s friendships exemplify the tolerance and latitude of love that she lived in. She was as comfortable and easy with her MacArthur Genius Grantee pal Laurel as she was with the receptionist at the cancer center. Although she had a very defined sensibility and had strong opinions about many things in her life, she was not a judger of other humans. Aesthetics demanded a high bar, but the doorway for people was big and wide. Over a year ago Bonnie read Barak Obama’s book, Dreams of my Father. She told us then that she had a hunch he would win. Back then that was a risky position and one that none of us were willing to take with quite the same level of conviction. So it was not without significance that she lived to see his inauguration, setting out on her own the day after this new era of our lives began. The hole in me is deep and wide. As it should be. My dear friend Morris Arrari passed away on April 6, 2008 in Maplewood New Jersey. Diagnosed with colon cancer, he struggled with the disease for nearly two years. Morris was a man of many many parts. He was a fashion designer in Paris for thirty years, working with Dior, Givenchy, Nina Ricci and Salvatore Ferragamo. His fashion illustrations ran in Vogue, Harper’s Bazaar and Elle. He also explored his hand in painting, drawing and printmaking. (An example of one of his prints is posted on Slow Painters.) In addition to his visual prowess, Morris was unendingly well read and verbally eloquent. Some of my liveliest discussions about art and life were with him. On Thursday we held a memorial service at the home where he died. The house was filled with people who knew Morris, and the stories flowed out of everyone, effortlessly. The more I heard, the more awestruck I was by how far reaching his gifts were, how many people’s lives he touched, and how powerfully he will live on in memory. Morris said once he would choose to return to earth — should that be our destiny — as a bird, high above hospital rooms, stomas, the gracelessness of ordinary manners — his artist’s eye quickened by the earth’s spiny geology, its interlocking clays and ores, its patterned waterways, the play of shadow across the landscape – observed this time from a distance. The complete content of the memorial service has been posted on Morris Arrari. “Attentiveness without an object is prayer in its supreme form.” Simone in one of her moments of genius. Coming upon this passage, the reader may be tempted to deface the margin with a comment like “What the hell should he be doing?” Being alone with writers is what any good critic does, what any good reader does. 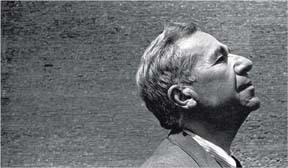 It was precisely through his deeply singular, deeply personal relationships with “his writers” — Melville and Thoreau and Emerson and Dickinson — that Kazin produced such indelible criticism. Excess. A “virtuoso of the art of going too far.” Now that’s an approach I can relate to. Rosanna Warren was the featured poet on Thursday night at the Luce Program in Scripture and Literary Arts at Boston University. Well known as a much-loved teacher and award-winning writer and translator (and the daughter of Robert Penn Warren), Rosanna cast a spell on me. Her work is carefully incised, with richly drawn streaks of imaginal flight. She cycles in and out of many of the same themes that attract me as well. I wasn’t surprised to learn that she began her early adulthood as a painter rather than a poet. Her proclivities draw her to transcendence, to the earth, to the power of art and language to alter everything. I was particularly moved by some of her most recent pieces. Three poems from a series called “Mistral” felt like a significant departure from her previous work and abandon the armature of a classical, more structured poetic approach. These poems have a mysterious and unnamed force coursing through a haunted hallowing of the past, so they are well named. She also read several poems that were written about the recent death of her dear friend Deborah Tall, author of From Where We Stand and A Family of Strangers. This poem, dedicated to her friend, appeared in The New Yorker earlier this month. as if now you considered some even starker question. Your I.V. tubes were gone. Your arms were bruised. A blue cloth cap enfolded your pale, bald head. more for my sake than for yours. Your mouth was suddenly tender, the mouth of a girl. You had come very far, to come here. now you looked inward. Who knows what you saw. dried body of a mouse. A kosmos, he, too. He, too, luckier. 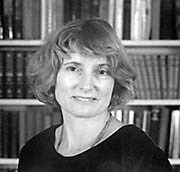 Publications by Rosanna Warren: Verse translation, Euripides, Suppliant Women (with Stephen Scully) (1995); poetry: Departure (2003), Stained Glass (1993), Each Leaf Shines Separate (1984), Snow Day (1981); ed., The Art of Translation: Voices from the Field (1989); “Sappho: Translation as Elegy,” in The Art of Translation; “La fontana e la pietra: Petrarca contemporaneo,” Studi e problemi di critica testuale (2006); “The Contradictory Classicist: the Poetry of Frank Bidart,” The Threepenny Review (2002); “Orpheus the Painter: Apollinaire and Robert Delaunay,” Criticism (1988); “Selected Prose of Gérard de Nerval” (Transl. with commentary), Georgia Review (1983). Thank you to so many of you who have shared your condolences for the passing of my mother. The gathering of her large family and many friends this past weekend did bring a sense of completion. A woman of strong opinions right to the end, she had requested that all seven of her children speak at her service, which we did. I was proud to be part of her unruly gaggle of grown children who will never run out of endearing anecdotes to share about her and who she was in her life. 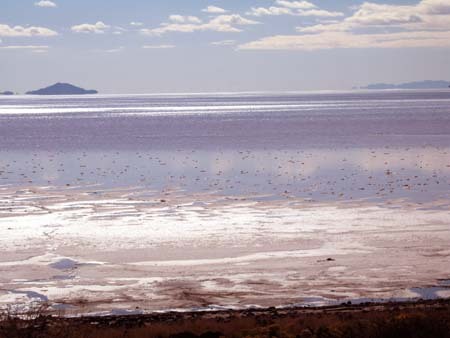 I spent one day alone with the Great Salt Lake. 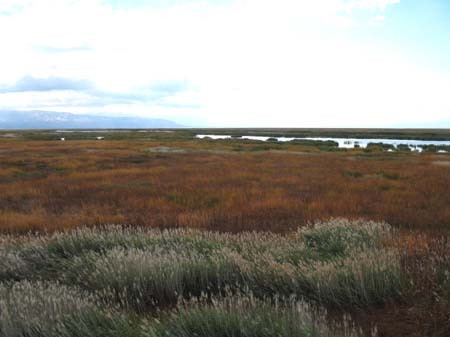 This enormous salten sea west of Salt Lake City has no outlet, so the salt content is eight times that of sea water. It is an ecosystem like no other I know. Every section of its edges–which can fluctuate dramatically year to year–has a different tonality and feel. 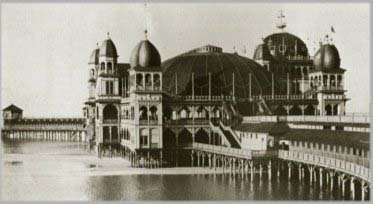 The remains of Saltair, a once elegant 19th century resort, are on the dry, sandy southern shore. The Bonneville Salt Flats are barren and endless. 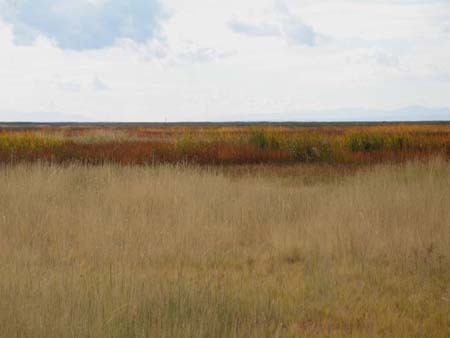 Along the eastern side, the Nature Conservancy has built Shoreline, with boardwalks that venture deep into the grasses of the wetland habitat that is home for millions of migratory birds. 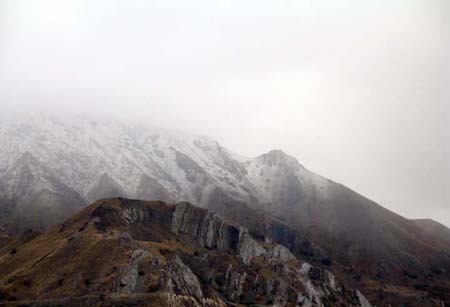 Also on the east is Antelope Island, a landscape more moon-like than earthy. 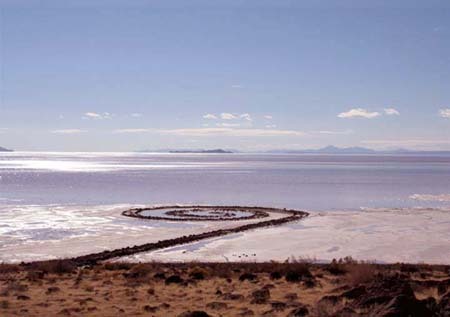 To the north, at the end of a very long and very potholed dirt road, is one of the icons of earth art, the infamous Spiral Jetty built by Robert Smithson in 1970. The northern shore of the lake near the jetty is rocky and the color of the water is decidedly pink. On a visit a few years ago, I found the rocks of the jetty encrusted with dazzlingly white crystallized salt. The jetty had disappeared below high lake water for 20 years, and its reemergence was big art world news. But like everything in this complex ecosystem, nothing stays the same. The naked rock has its own boldness set in that field of pink water. Who knows what I will find on my next trip out there. Most Utahns wax rhapsodic about hiking and skiing in the mountains, or venturing down into the sandstone of Southern Utah and Lake Powell. The beauty of the lake is austere and unconventional. It is rarely mentioned by people as a geographic treasure in a state full of many beautiful landscapes. For me, the attraction has always been strong. 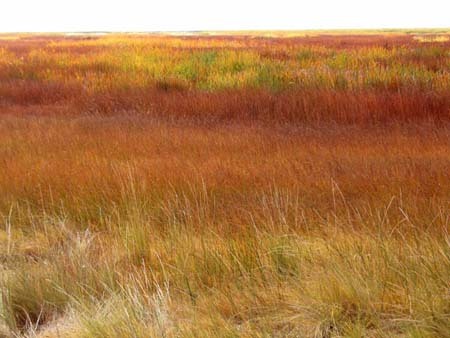 My grandfather had a farm near the eastern shore, and I remember how reverentially he watched the shorebirds come and go every year. I camped in the original Saltair ruins before it was torched by a fire in November of 1970. 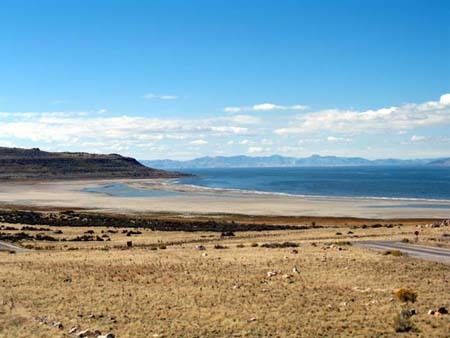 And my pilgrimages out to the Spiral Jetty, complete with a stop off at a roadside hot spring, have become my touchstone for connection with the earth that made my mother, and therefore the earth that made me. Perhaps the Lake is now a sanctuary stand in for my now deceased mother, a thought that brings me deep peace. My mother passed away on Thursday afternoon. It happened while I was in Los Angeles with my son Bryce. The morning had been spent on the phone with my siblings who were with her in Utah, and it was clear she was spiraling down rapidly. I left my phone vigil to have a late lunch with Bryce’s friend Rio and his mother, artist extraordinaire Susan Kaiser Vogel. Seated in the unexpected beauty of their post industrial/deconstructed garden patio, Rio made a heartfelt toast to mothers and mothering as we broke bread over a hearty artisanal meal. It was a crystalline moment; an intoxication of sumptuous food, captivating companions and the ineffable joy of being with one’s own child, full grown and compellingly complex. I didn’t hear the phone ring, pinioned in my bag in a back room, so I didn’t get the news that she had gone until after our en plein air repast was over. But that gap was a gift. My memory of my mother’s final hour is permanently nested in the soft nap of a velveted afternoon spent celebrating life in unadorned, simple sensuousness. Her wake is Thursday, her funeral on Friday. I’ll be back in Boston on October 10th and will post again here at that time. Thank you to all of you who have walked with me during these last few months of suffering. Her final lap completed, I can return to celebrating a woman of extraordinary vitality, strength and selflessness. When I wrote about Heather Mains in the posting below (Another Library Gone), I did it from the sorrow of an exile. I had been hearing about gatherings of Heather’s friends in Toronto where stories about her had been shared. But I was in Boston, a candle burning of one. But the comments left by many of her friends on this blog, sharing thier own stories and impressions of her life, created a unique circle of Heather storytelling. Reading these words has been deeply comforting to me. Thank you to all of you who left your thoughts and have created this cyber-proximity with me. Below is the text from one of the last emails several of us received from Heather. I read it over and over again. Written just four days before she died, it captures some essence of Heather that I want to keep with me for the rest of my life. I got up a few times last night to view the beautiful eclipse of the full moon. It was very strange to see, what looked like a moon lit from below, was actually a shadow coming down from the top. It set in a shadowy veil. Wow. When I went back to bed at 6am, it was turning orange. I finished the cycle of the eclipse in my dream.